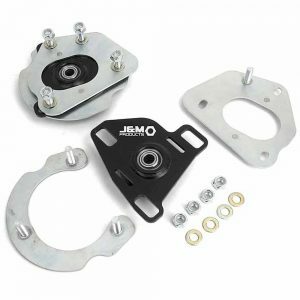 J&M’s Caster Camber Plates are for those needing to take control of your mustangs front suspension. 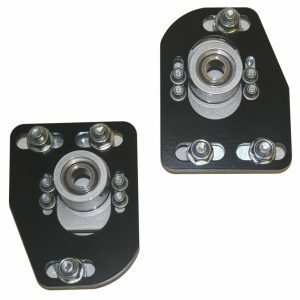 Do it by using a set of J&M Products adjustable caster and camber plates. 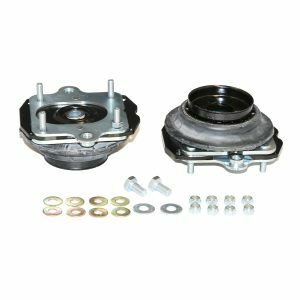 J&M plates replace the stock rubber strut mount bushings with a spherical bearing, allowing you full control of the suspension geometry. 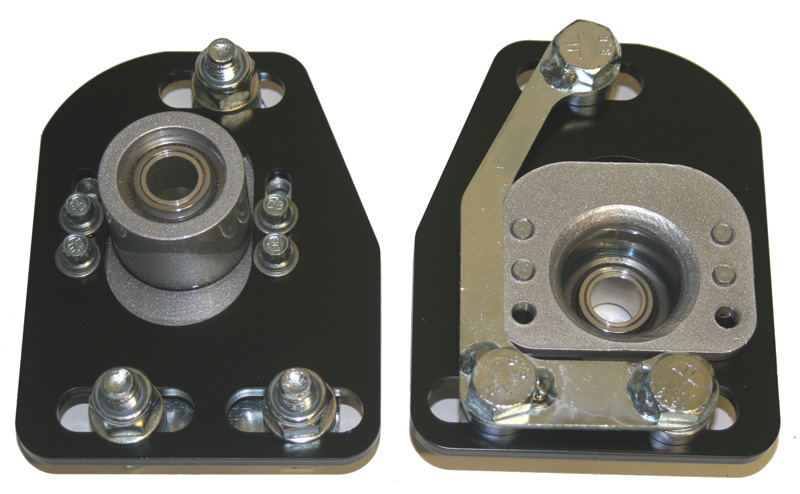 Whether you want your alignment set for track, street, or strip, these plates will allow you to fine tune your suspension so you can get the most out of your car. 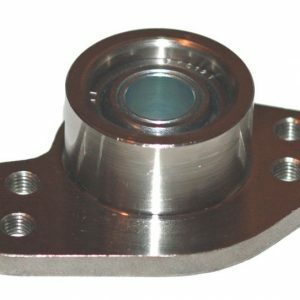 The bearing mounts are completely adjustable and are forged out of chrome-moly steel and are 100% weld free for the ultimate in strength, durability, and fit. 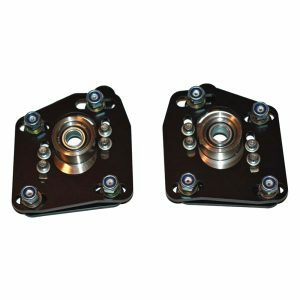 The caster camber plates also feature a special chrome moly replaceable PTFE lined spherical bearing for a noise free quality ride. 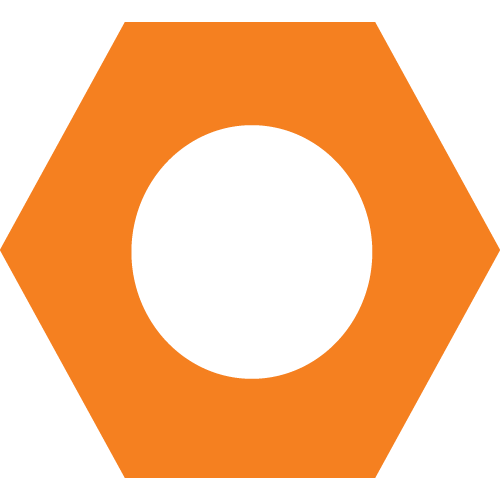 Now coming with a LIFETIME WARRANTY from craftsmanship and defects. 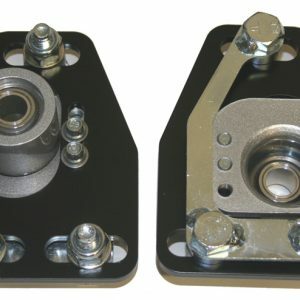 That is right if you are the original owner and bend the plates or wear out the bearings they will be fixed or replaced for free. Available in Red or Black powder coated finish for a long lasting durable exterior coating. 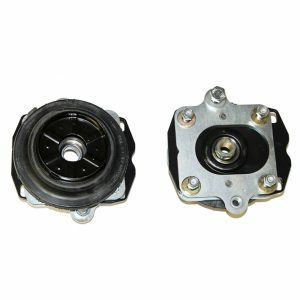 Stronger bearing liner made from sintered bronze impregnated with PTFE powder, same as modern ball joints. One piece forged bearing mount from chrome-moly steel for superior strength (only camber plate on the market with this feature). 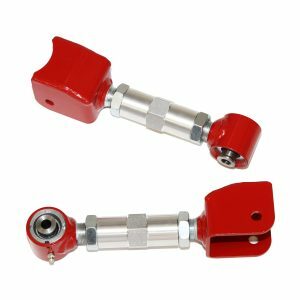 Lifetime guarantee against bearing failure and main plate bending or breaking. 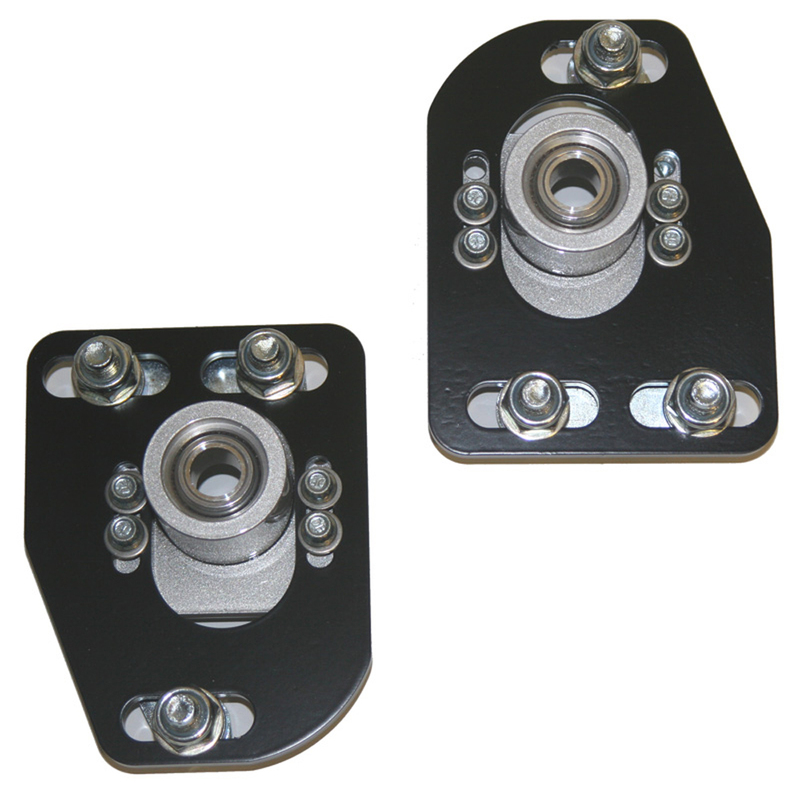 1/4″ High strength alloy steel (no just regular mild steel like other copy at camber plates). Slots for adjusting camber and caster independent from each other. 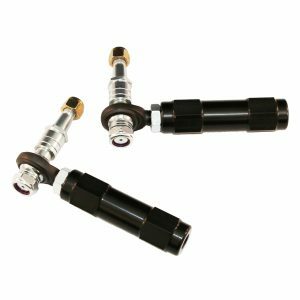 Easy adjustments for street and race setups. 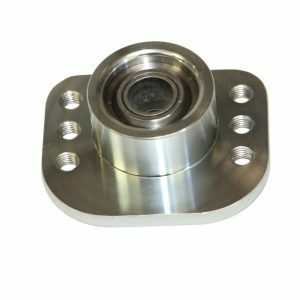 Replaceable highest strength chrome-moly PTFE lined spherical bearings for noise free non binding performance. First to load the bearing from the bottom for ultimate in strength. 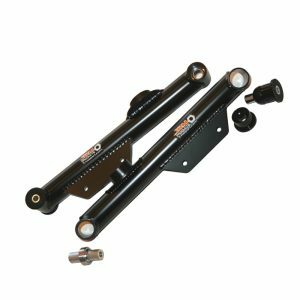 Greatest increase in suspension travel for lowered cars. Powder coated and plated for great looks and long lasting protection.